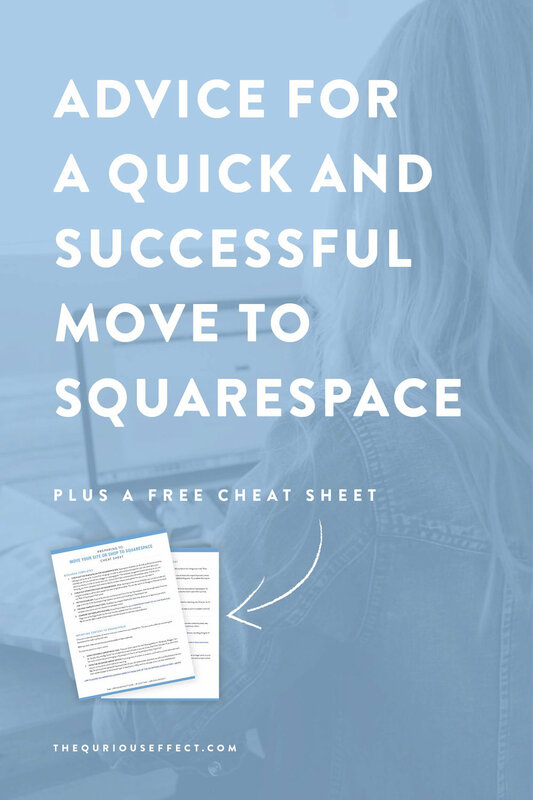 Thinking about moving your website or shop to Squarespace? Then you’re in the right place for some very useful information. This week I’m trying something a little different. Recently, I got to go live in a great facebook group called The Creative Potential (you might want to check it out) to talk about this very topic and I just knew it would be a great blog post too. So this is my first attempt at a video blog. The video is from Facebook Live so it’s not very high resolution but I think it’ll work for our purposes. If you’d rather check out the slides at your own pace or read the post instead, both those items are below. And since I’ve listed a lot of great links within this post, I’ve got a free cheat sheet for you too! Of course I'd love to hear what you think (down in the comments way below)! Check out the video just below or scroll down to check out the slides and read the text only version. 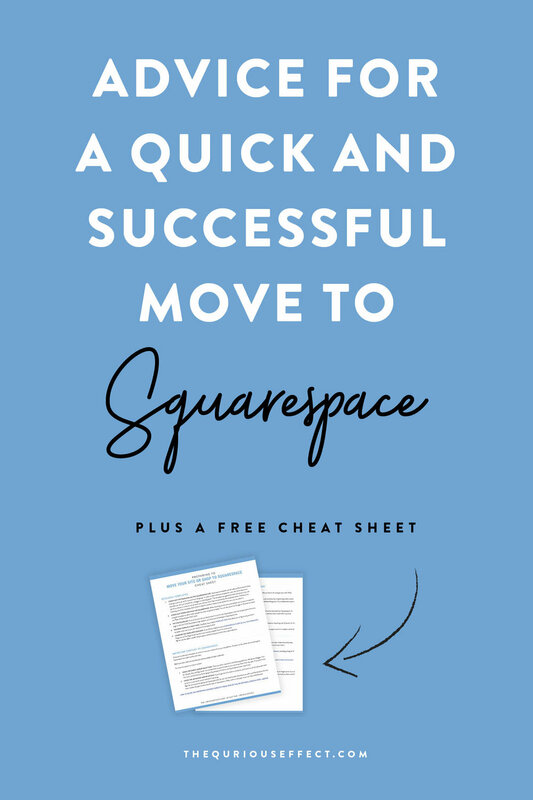 Today I’m going to be talking about Squarespace, specifically tips for a quick and successful move to Squarespace. While I believe there are many, I’ll focus here on just 3. Squarespace is easy. Once you take a few minutes to familiarize yourself with the platform, it’s easy to move around. And Squarespace offers a great series of ‘getting started’ videos that make the onboarding process smooth. It's mobile responsive + beautiful. Squarespace includes mobile responsive design so your site is automatically set up and optimised for any device. TIP: It’s helpful when looking at a template or site to try changing the size of your browser window so you can get a feel for how a site scales for devices. Squarespace also has a viewing feature while working on your site, so you can see how your page/design will look at tablet or phone sizing. Amazing Support. The support team is fantastic, there are a wealth of resources, guides and videos on the Squarespace help page as well as contacting the support team by chat or email and they’re very responsive, usually getting back to you within an hour or so if not quicker. And there’s also a user forum called Squarespace Ask where you can search for answers to your question or ask the forum for help. TIP: Googling “Squarespace …” where you type in Squarespace, your template and your question usually returns a very applicable answer to your question from both Squarespace Help, Ask and bloggers who have written posts about the subject. Check out the templates on the Squarespace site. Squarespace templates are all really professional and sharp looking so you’re set up for success from the get go. That being said quite a few new templates have been released so it can feel a little overwhelming to pick one. In order to select the best template for your site, think about your intended use: Are you a storefront, a blogger or a photographer? The templates are geared towards industries so you can search by industry in order to narrow down your choices. But don’t feel constrained by the templates either, If while you’re browsing, you think a template that’s listed as ideal for another industry looks perfect for you, you can select it. Check out other sites that use Squarespace. While checking out the various templates you can see a model site using the template as well as other people’s live sites using that template. So you can get a great feel for how others actually use the template. You can also search on Google or Pinterest to check out “Best of Squarespace Sites” posts. Try the Escape Key. If you’ve found a site you like but aren’t sure if it uses Squarespace, click the escape button from any page on the site. If the Squarespace login appears, you know you’re looking at a Squarespace site. The What Template is That? Tool. Colin at SilvaBokis.com has a helpful template tool that allows you to figure out just which template a site uses so you can research the template further. Template Comparison Chart. If you’d find it helpful to see a comparison chart of all the Squarespace templates, Paige over at ThePaigeStudio.com has the most recently updated chart I’ve come across. TIP: her site also offers a wealth of Squarespace tutorials and posts so she’s also a good reference. Once you’ve selected a template, it’s time to move your content from your old platform. This part can be a little nerve wracking but Squarespace has made it pretty darn easy. Before you start, make sure you have your previous platform’s login credentials. Main Navigation vs Not Linked. Squarespace brings your imported content into a page within the “Not Linked” section. All you have to do is drag it up to the “Main Navigation” section and your content will be there waiting for you. However, if you don’t want all your content to go live on your new site, you need to make sure and leave the original imported content as the blog page in the “Not Linked” section in order to keep your comments on all your published blog posts. If you delete that imported content, you will lose your comments. Media Library Hidden Images. If you have any images in a media library that aren’t being used within a post, those images will not be imported into Squarespace. It’s best to download a backup of your media library. Trial Plan Limited to 20 Posts. The other item to note when importing a site is that if you are currently on a trial plan, you are limited to importing only 20 posts. So it’s best to complete the import after you’ve designed your site and have made your site live. Tip: Since it can take a number of hours for domain transfer to take effect, it’s a good idea to use a cover page so you’re in complete control of the transition and can build some new site excitement while the transfer goes on behind the scenes. Make sure you have your prior domain host’s login credentials before you begin the process. Squarespace also makes this pretty easy, offering host specific instructions for companies such as BlueHost, GoDaddy, Name.com, DreamHost and many others. Connecting a Domain. Squarespace easily works with a domain that’s hosted elsewhere. Here’s a guide on how to connect your domain, including a long list of popular hosts. Transferring a Domain. If you’d prefer to have your domain and your site hosted in one place Squarespace can do that too. Here’s a link to those instructions. Squarespace allows you to create a custom 404 Redirect page using a cover page. In case there is content that no longer exists on your site, visitors will land on a 404 Redirect page that looks just like your site instead of a generic Squarespace version and you have control over directing your viewer back to a page of your choosing. For example, say you didn’t move a blog post from your old provider over but there’s a link to post you forgot about living within another post. If a user clicks on the link, they’ll be taken to your custom 404 page instead of the generic one. This looks more professional and you can send the user back to your blog instead of your homepage. Here’s an excellent article from DevonStank.com on how to set this up. Devon’s post is quite helpful and his article also goes over 301 and 302 redirects which come in quite useful as well. And that’s everything I wanted to cover with you today. 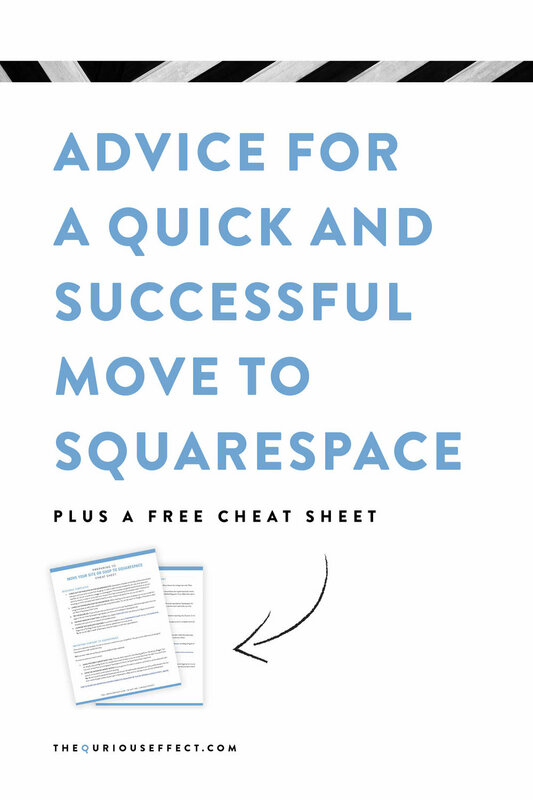 Are you ready to make the move to Squarespace? If you’re interested in learning more about working with me, check out my services page.